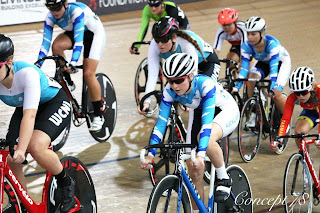 This weekend I went down to Cambridge to compete in the National U19 Omnium Track Championships. 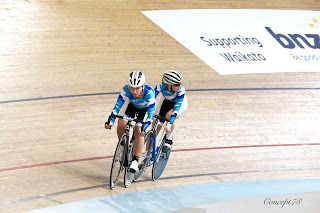 The omnium is like the "yellow jersey" of track cycling, the winner is the rider who gains the most points over 4 races. The higher placed in each race you are, the more points you gain. 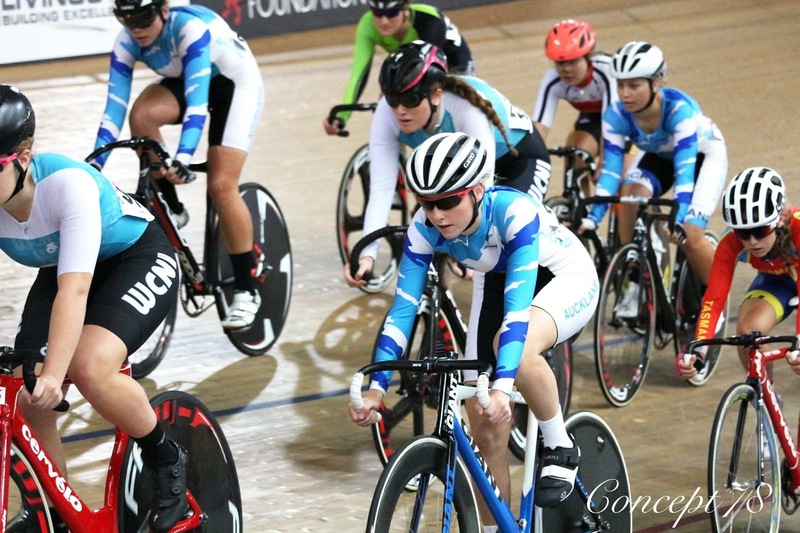 These races are the scratch race, tempo race, elimination race and the points race, and are all raced over one day. I was very excited for this event as most of the races suited the endurance fitness I have been working on, as well as fast pace sprinting. I also have never participated in this event before as it is only raced from the U19 level, so the day was a huge learning curve. I am extremely thankful I had the opportunity to represent Auckland in this event, there is no training or racing which is quite as hard as national events. These races extend me as an athlete and help improve my performance. 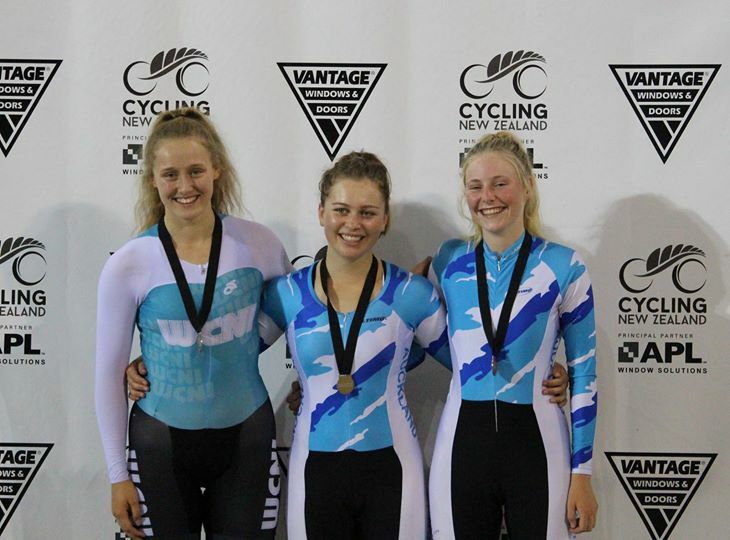 Throughout the day I picked up a 2nd place in the scratch race, 3rd in the tempo race after breaking away with team mate Georgia Danford for 6 laps. 5th in the elimination race, and finally 3rd in the points race. I must admit the points race was one of the hardest track races I had ever done, which made finishing up with 3rd place overall and a bronze medal, even sweeter. 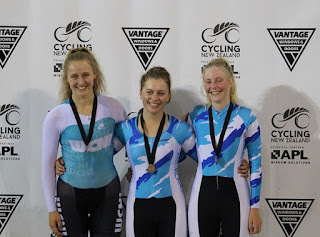 Without the support from my parents, and Frequency Projects I could never been able to make it down to Cambridge for the Omnium National Champs. I am always thankful for everything they put into my cycling which in turn makes things much easier and better for me. Also a huge thanks to my coach Paul Leitch for all the work he puts into my program and training sessions in order to ensure my legs are race ready.